In case you missed it, here is Bel Marra Health’s heart attack update, featuring information on unstable angina, heart attack symptoms in women, and heart failure. There are three types of angina: stable, unstable, and variant. 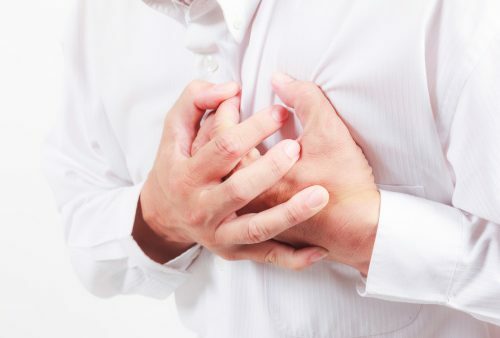 This article will focus primarily on unstable angina, which is when plaque in the blood vessels either ruptures or forms a blood clot, suddenly reducing or blocking the blood flow. Unstable angina is not relieved by your common medications—rather, it requires emergency treatment. Heavy snowfalls have been linked to an increase in hospitalizations and deaths due to cardiac events, according to new research published in the Canadian Medical Association Journal. February 3, 2017 was National Wear Red Day, an event held by the American Heart Association that raises awareness about the high risk of heart disease among women. Women have nearly double the risk of dying due to a heart attack as men do, and education about the signs and symptoms is necessary in order to help reduce and prevent these potentially fatal events from occurring. One-quarter of all Americans who have a heart attack go on to experience heart failure, and researchers from the University of Pennsylvania have uncovered a new clue as to why. Heart failure after a heart attack may be reduced with Mediterranean-style diet. There have already been numerous studies demonstrating the benefits of the Mediterranean diet, which consists of fruits and vegetables, fish, whole grains, minimal sugar, and a glass of wine.